Happy holidays, everyone! I wish I had the art talent to create a proper holiday card. Instead, I’ll just share the holiday tags that were polybagged with Wizard magazine. 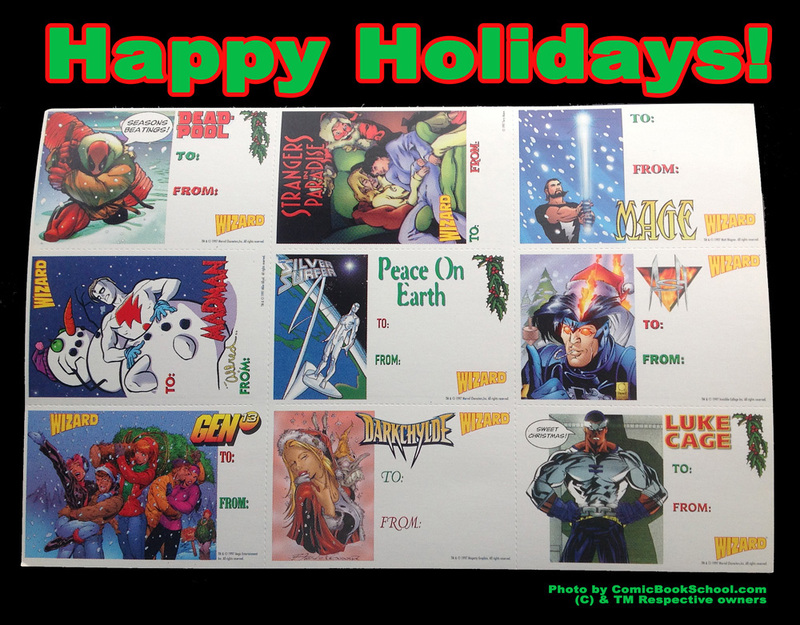 Holiday themed tags from Wizard Magazine including superheroes like Deadpool, Strangers in Paradise, Mage, Madman, Silver Surfer, Ash, Gen13, Darkchylde, and Luke Cage. All characters TM & (c) respective owners.